Vesta Rawlins, 41, of Bristol Road, Richland Park, was stabbed multiple times about her body on Tuesday around 8.30 p.m. Her three-year-old daughter was also wounded in attack, but survived. Police have detained 54-year-old Emerald Mack of Mesopotamia in relation to the stabbing death of Vesta Rawlins, 41, of Bristol Road, Richland Park. Rawlins, a mother of eight, was stabbed multiple times about her body on Tuesday around 8.30 p.m. Her three-year-old daughter was also wounded in the attack, but survived. The girl was cut on one of her hands and villagers said she fainted before being taken to hospital. Mack is the father of Rawlinsâ last two children, including the one who was wounded. Yesterday, when SEARCHLIGHT visited the rural community where Rawlins lived with her children in a small wooden house, neighbours used words like, âcoolâ, âlovingâ and âgenerousâ to describe the woman who worked as a community health aide, taking care of elderly persons. Rawlinsâ oldest son Denniston, sitting under a bamboo shed eating a plate of pasta, said he was too upset to talk about the incident. The dreadlocked youngster, dressed in black shirt to demonstrate his grief on his motherâs passing, said he was not at home when she was stabbed and he had no idea what led up to the incident. One of the dead womanâs female neighbours said that on the night in question, she heard a commotion and when she came out of her house she saw the wounded lady. âShe like somebody stab she, and one of the stab in she chest was spouting plenty blood,â said the bereaved woman, who revealed that she used a towel and pressed it against the wounded womanâs chest wound before she was whisked off to seek medical attention. 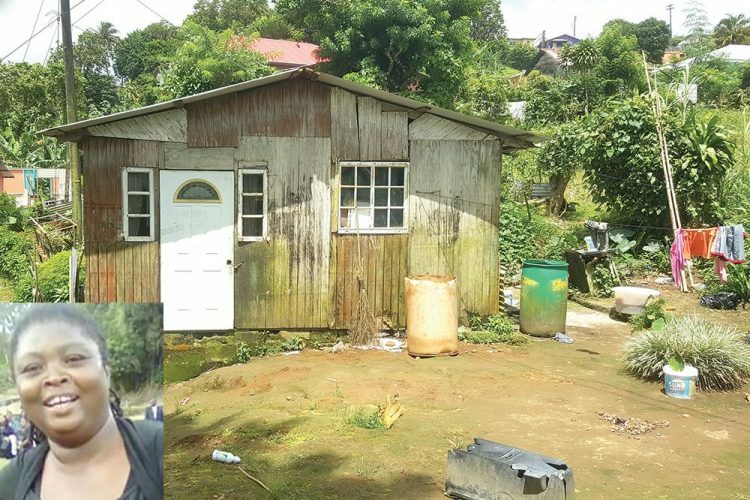 Rawlins was taken to the Evesham Health Centre in Mesopotamia and later transferred to the Milton Cato Memorial Hospital (MCMH) in Kingstown, where she underwent surgery, after which she was warded in the Intensive Care Unit (ICU). She died yesterday between 7.30 and 7.40 a.m.
One of Vestaâs cousins said she witnessed her dead relative being threatened many times. âHe use to always say he go kill she,â said the angry woman.